View NEW HOMES for sale in Calgary below! There are many older homes in Calgary that anyone can appreciate their beauty and charm. However, often times those properties aren’t equipped with the amenities that homeowners today need and want. This is why new construction homes in Calgary are so desirable, as they are clean, brand new, modern, and equipped with all the comforts that are necessary for households today. Due to the fact that Calgary is growing so rapidly, more new home builders in Calgary are choosing to develop communities all throughout the city. 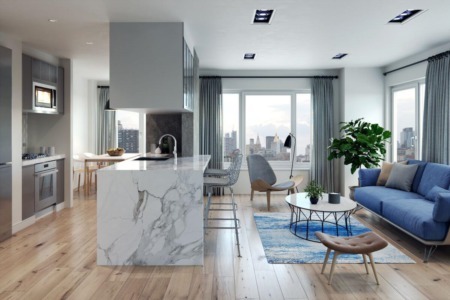 They have helped to create some of the most desired neighbourhoods in the area, offering a wide variety of floor plans, unique finishes, choices of home colours, and many other details for homeowners to personalize their properties. This has only further enticed buyers from near and far to move to Calgary and experience the benefits of new construction for themselves. It’s no secret that there are many historic homes in Calgary that are treasures to anyone who knows how long they’ve been standing. With many being built prior to World War I, they are well past the general 50-60 year life expectancy that wood construction properties are given. However, these properties are different in the fact that they’ve been incredibly well maintained over the years. This is not typical of all properties though, so it’s important for buyers in the resale market not to expect they’ll get something old and renovated or taken care of. Typical homes should be renovated every 25-30 years on average to help keep them up-to-date for safety. This should include replacement windows, a new roof, swapping out the doors, and any other replacements for areas of the property that are frequently used or exposed to the outdoors. New homes are unique in the fact that they come with 10-year warranties thanks to the New Home Warranty Program. This covers all structural and major components of the house, although the inclusions can vary based on the builder. 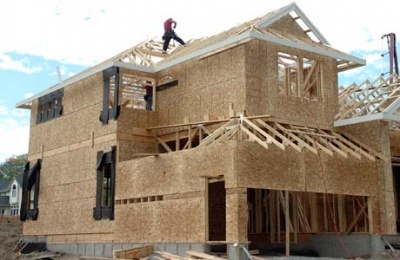 Any time a buyer purchases a newly built home in Calgary it’s important that they are aware of the amount of time it will take to finish building the property. In today’s market, 8-9 months is average across most home builders in Calgary, although it could be longer or shorter depending on the home and area. The builder may also have a busy schedule, resulting in longer wait times for the finished dwelling. To help ensure expectations are clear, this question should be asked and answered before the purchase agreement is signed. For buyers who are in more of a hurry, there is an alternative to waiting many months for a home to be completed. These are known as “spec homes” and are properties that are brand new and move-in ready. While many are completely finished, some do allow for customization with small details that don’t take much time to complete, such as a wall or floor coverings. New homes can be found all over Calgary, although the majority are situated on the outskirts of the city. Communities such as Mahogany, Silverado, Seton, and Walden are examples of those that feature properties that have been built by some of the best home builders in the area. One of the best parts of building in these areas is the fact that the prices are much lower than in downtown, as the closer a property is to city lights, the more expensive land is. Fortunately with the expansion of the LRT and major access roads, being on the outskirts don’t mean being far from things to do. To put the difference of prices in perspective, average sized lots in South Calgary sold for around $200,000 at the end of 2015. This can be compared to empty lots on the outskirts of downtown being sold for approximately $450,000 and above. Other factors also have an impact on prices, but it’s easy to see from this information that living close to downtown means having to increase the amount one is willing to pay for the land alone. The cost of building a new home in Calgary, just like anywhere else, varies based on a number of different factors. However, buyers should expect to pay at minimum $150 per square foot for an average interior finish. For those who want details that are more luxurious, such as nicer flooring or higher-end cabinets, they should expect to pay much more. Fortunately, buyers are able to pick and choose which upgrades they want, making it easy to stay on budget while still getting the style of home they want. Every buyer should make sure to include their GST in the total price of their home. It’s true that most home builders in the area will provide pricing with GST included, not all of them do. Buyers need to double check pricing information and contracts so they know the absolute price they’re paying. Other expenses to consider for a new home include: finishing the backyard, putting in a fence, landscaping, and even a garage. Each home is unique with what it includes, but these extras are some of the most common that are forgotten. Should Buyers Hire REALTORS® When Buying a New Construction Home? There are many things homeowners can do on their own once they move in, but when it comes to buying the actual property, it’s important to have the help of a professional. REALTORS® are incredibly valuable resources because they help their clients get the best deal possible. In addition to this, they save their clients time by helping with paperwork, answering questions, and guiding them through the process. REALTORS® also provide expertise that helps ensure their clients are not fooled with pushy sales reps who are often on-site in new build communities. One example of how they help is by researching home values in the neighbourhood to see previous selling prices. This information will ensure sales rep tactics to push buyers to commit to a higher price will not work. However, in situations where the rep will not reason, the REALTORS® may start pointing out the resale value and depreciation. Not every situation is one where a REALTOR® can negotiate, but they will try when they can to help ensure their clients are given the very best price. It’s important for potential buyers to understand that Calgary is an area that has seen incredible growth, so new builds are selling at an accelerated rate. This can make it tough to negotiate a great deal, especially with the lack of inventory in some areas. Sometimes the best option is to accept the asking price, or in some situations, bid higher to ensure the dozens of others who are also interested do not win the lot. REALTORS® are necessary when shopping for new construction homes because they work 100% with the clients’ interests in mind. This helps save them time, stress, and potentially even money. Their priority is to make the process go smoothly, which is something that is likely not to occur for those who are trying to purchase a new build on their own. Anyone who is thinking about buying a new home in Calgary will be delighted by the wonderful communities and homes that are being built. There are more options than ever, meaning all types of buyers can find their ideal property and location with ease. Working with a REALTOR® at the start of this process is the best way any individual can make the experience more enjoyable. By using their knowledge and listening to their clients, they make finding the ideal new construction property simple and easy! Their assistance is invaluable and can mean buyers have peace of mind with their decisions throughout the purchasing process. Once a buyer decides they are interested in new construction homes, it’s important to understand there are many options. New communities are just as common as new homes, but many properties are sold as soon as they are listed. This is why it’s so beneficial to work with an agent who is familiar with the area as well as the builders who work in it. This professional relationship can mean learning about developments before they ever start building, which can result in the client being able to get in on the ground floor. There are many reputable builders in Calgary that have produced stunning and high-quality homes for buyers. These are the types of builders that every buyer wants to work with. The last thing anyone wants is a low-quality home that has been built for profit rather than customer satisfaction. To help avoid wasting money on such a large investment, buyers should safeguard themselves by hiring a real estate agent to help give them advice about the builder they’re considering. REALTORS® work with many different builders and therefore have a good idea of who the high-quality companies are. They can provide insight into what can be expected not only with the home but with the customer service as well. In turn, this can help buyers avoid working with builders who just don’t stack up and provide the quality that is necessary. This is especially helpful with all the new communities that have been sprouting up recently, as there are more builders than ever that investors must choose from.